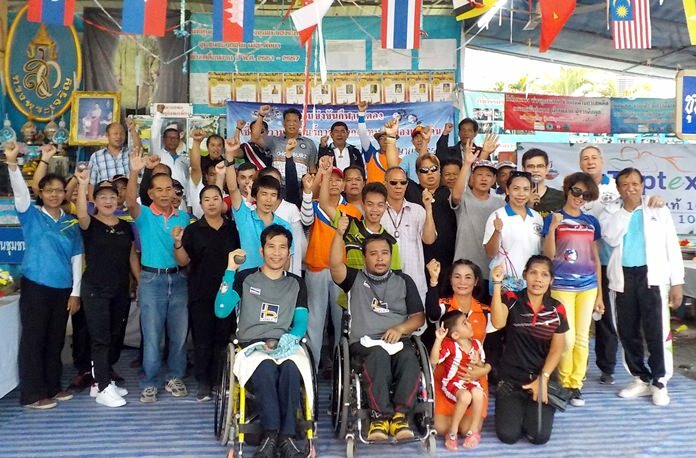 Soi Korphai Community residents raised money for charity at a neighborhood pentanque tournament recently. 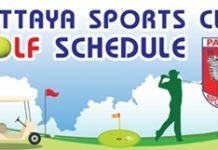 Pattaya mayoral advisor Nichom Seangkeaw opened the May 1 tourney, which also awarded prizes of up to 6,000 baht to participating teams. 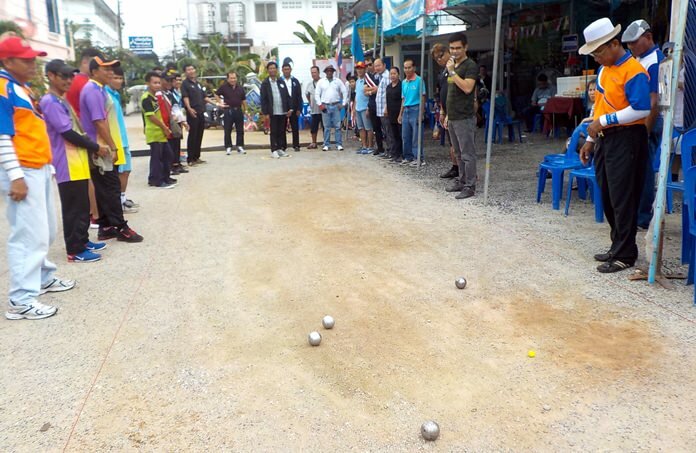 Soi Korphai community residents came together to raise funds for charity at the neighborhood pentanque tournament on May 1. The objective of the tournament was to create bonds within the community and encourage people to choose petanque as another way to exercise, as it is a sport suitable for all ages and genders. The event also raised funds for the Mother of the Nation Fund to combat against drug addiction. First place and 6,000 baht went to the Jao Baan Soi Korphai A team with the Chaiyapornwithi team taking second and 3,000 baht. Third place was a tie between the Paniadchang and Soi Korphai B teams, which each took home 1,500 baht. In the open tournament, the Nong Or team placed first, with the Pattaya Cats and Mab Pradu Rayong teams taking second and third, respectively. Nikom Seang Keaw (rear centre), the former advisor to the mayor, had the honour of opening the tournament.